Q: Hi, Can a debt collector that is based in and licensed in the state of Delaware, collect a debt from me in California? Also, I know California no longer requires California agencies to be licensed, however they have broken 3 possibly four of the FDCPA rules and I would like to report them, but I don’t know to whom. I know how to contact the FCC and state attorney, but can I report them in Delaware? Thank you!!! A: Thanks for reaching out and I’d be happy to answer your questions about dealing with debt collectors, especially out-of-state debt collectors. You did not specify the type of debt involved, whether it’s a credit card debt, auto loan, personal loan, or something else altogether. Nor did you tell me how old is the debt in question. Nevertheless, I receive many, many inquiries on this topic. So I’ve written a lot about this subject and I have several articles I’d like to share with you. 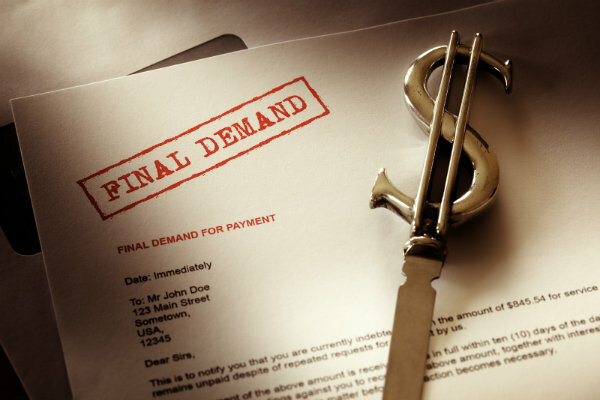 First, please read this piece, entitled How to Find Out if a Debt Collector is Licensed to Collect Your Debt. It will you give you some tips on how to best proceed when a company is licensed and when it’s not. You are correct that California – the state in which you reside – does not require businesses to be licensed in order to collect debts there. However, more than 20 other states do require debt collectors to be licensed if they are located in those states. And yes, Delaware is one of the states that requires licensing. So the answer to your first question, regarding whether this Delaware-based company can collect from you in California, is: it depends. Just because their headquarters is in Delaware or they operate out of that state, it doesn’t mean that they’ve taken the necessary steps to get licensed in Delaware. If not, then no, they aren’t entitled to collect on the debt. But if you check them out, using the steps I suggest in the above-referenced article, and you discover that the debt collector is licensed, then yes, they can pursue this debt, even though you live in California. By the way, in case you ever get contacted by other debt collection agencies, here is a list of the other states (including DE): that make it mandatory for debt collectors to be licensed: Alaska, Arizona, Delaware, Florida, Idaho, Illinois, Indiana, Minnesota, Nebraska, Nevada, New Jersey, New York (City of Buffalo), North Dakota, Oregon, Tennessee, Utah, Washington, and West Virginia. The National Association of Attorneys General maintains an online list of the bios and contact information for the nation’s 56 state and territorial Attorneys General. (Beyond the 50 states in the U.S., the list includes AGs for American Samoa, the District of Columbia, Guam, Northern Mariana Islands, Puerto Rico, and the U.S. Virgin Islands). The age of a debt also matters because it’s possible that the statute of limitations on the debt may have expired. This means the debt is so old that it is no longer legally enforceable, so debt collectors are not entitled to legally collect on the debt – regardless of whether or not the agency is properly licensed. Do I Have to Pay an Old Debt That is Past the Statute of Limitations? Finally, to address your question of whether you can complain to authorities in the state of Delaware, sure you can, especially if – as you indicated – you believe the debt collection agency has violated several aspects of the Fair Debt Collection Practices Act, or FDCPA. But I would start with the FTC, the Federal Trade Commission. They have an online Complaint Assistant that you can use to report any abuse or violations by the debt collector. Additionally, you have the power to push back directly against debt collectors, particularly those guilty of breaking the law. 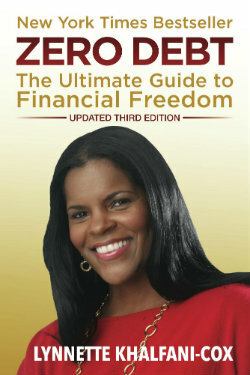 So please read my article entitled How to Stop Debt Collectors From Harassing You By Using a Cease and Desist Letter. You can also, of course, alert the Attorney General’s office in your state, California. Here is a direct link to their online complaint form. Lastly, you can also file a complaint, if you’d like, with the Consumer Financial Protection Bureau, or CFPB. Do this by calling the CFPB’s toll-free complaint hotline at 855-411-2372, or by submitting a complaint online. The CFPB forwards your complaint to the business and the agency works to get you a response, usually within 15 days. OK, that’s everything. I do hope this helps you to more quickly resolve these issues – and to minimize any stress you may have experienced in dealing with overly aggressive debt collectors.